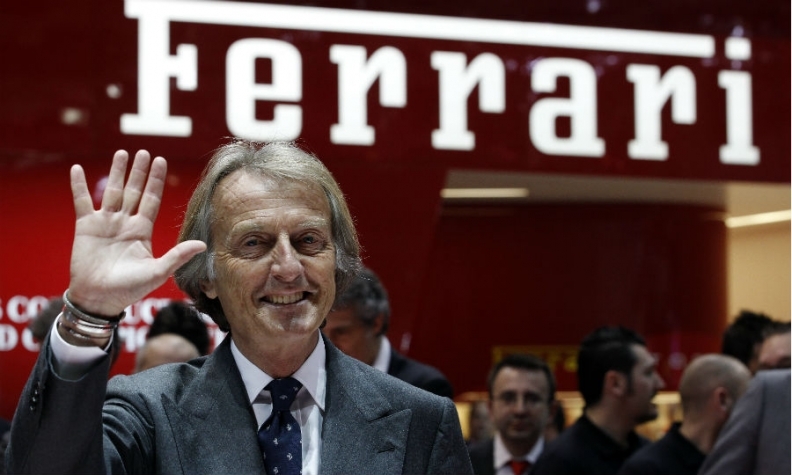 Montezemolo will receive a severance package in return for agreeing not to compete against Fiat until 2017. LONDON (Reuters) -- Ferrari Chairman Luca Cordero di Montezemolo will receive a combined severance package worth 26.96 million euros ($34.89 million) when he leaves the company next month, with nearly half to be paid in a lump sum by early next year. Fiat, which owns 90 percent of Ferrari, said Wednesday that Montezemolo will leave the company on Oct. 13., the day the newly merged Fiat Chrysler Automobiles (FCA) is due to be listed in New York. Sergio Marchionne will adds responsibility for Ferrari to his role as Fiat Chrysler CEO. In a statement, Fiat said Montezemolo, 67, will receive a lump-sum payment of 13.25 million euros by Jan. 31, 2015, in return for agreeing not to compete against Fiat until March 2017. Fiat also said Montezemolo will receive 13.71 million euros, which is equivalent to five times his annual salary as the Ferrari boss, payable in 20 years. Montezemolo quit after he and Marchionne clashed over the automaker's future and the poor results of Ferrari's Formula One team. Montezemolo, who has been Ferrari chairman since 1991, has wanted to keep Ferrari autonomous, while Marchionne has pushed to better integrate the business within Fiat to boost the group's move into the premium end of the car market as it seeks to rival the likes of Volkswagen and BMW.